Searching for a reliable and effective Toronto family lawyer can be overwhelming: family disputes are stressful, complicated events that often correspond with the toughest times in people’s lives. At Radley Family Law, our clients trust our proven track record of success and our dedication to their wellbeing and the wellbeing of their children. We have a depth of expertise in all areas of family law, including divorce proceedings, spousal support, child support, and child protection. We have also earned a reputation as trusted custody lawyers in Toronto, and are proud to deal with issues relating to parents’ access to their children. If you’re in search of a Toronto divorce lawyer, our team is ideally positioned to guide you through this difficult process. It is our belief that you and your loved ones deserve to be protected from legal challenges at every stage of your life, especially at challenging moments such as this. A divorce proceeding is one in which either or both spouses seek a divorce alone or together with a child support order, spousal support order, or custody order. A corollary relief proceeding is one in which either or both former spouses seek a child support order, spousal support order, or a custody order. This allows the parties to divorce at an earlier stage and deal with corollary issues at a later date. A variation proceeding is one in which either or both former spouses seek to vary, rescind or suspend a support order or a custody order on any provision thereof. The only ground for divorce in Canada is “breakdown of the marriage”. A breakdown of the marriage can only be established once the spouses have lived separate and apart for at least one year immediately before the divorce proceeding. This one-year period is not a requirement in cases where the spouse against whom the divorce proceeding is brought has, since the date of marriage, committed adultery or treated the other spouse with such physical or mental cruelty as to render the continued cohabitation of the spouses intolerable. With the help of a Toronto family lawyer, an Ontario court will grant your divorce decree after the one-year separation period. The team at Radley Family Law will help you navigate every aspect of the divorce process, and will ensure your interests are protected during the division or property, Toronto child custody help and disputes, and spousal and child support negotiations. If you and your spouse have agreed to a divorce and settled the issues pertaining to child custody, support, and division of property, you may be eligible for an uncontested divorce. The uncontested divorce represents a simplified divorce procedure, in that court appearances are generally not required. Uncontested divorces are faster, simpler, and significantly less costly than more acrimonious divorces. 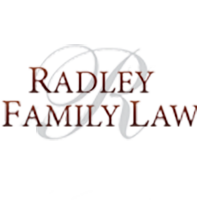 At Radley Family Law, our team will help you process your uncontested divorce for a flat fee of $499, plus HST, court filing costs, and disbursements. Contact the Toronto family lawyers at Radley Family Law today to find out more. The team at Radley Family Law is happy to provide free consultations to every client. Call us at 905-669-2109 or reach us via our online form to set up an obligation-free appointment. Our team of Toronto family lawyers is prepared to help you navigate this difficult time in your life. Rachel Radley serves her Toronto family law and divorce law clients – and those in neighbouring cities –from her office in Vaughan, Ontario.